Our precision engineered range of CO2 Generation Plant is available in various capacities and models as per the clients’ specific requirements. These are designed as per client specifications and can store liquids and gases under high pressures. Our quality range of Diesel Base Plant is based on a very sturdy design including cross head and stuffing box, which ensures complete isolation between the combustion chamber and the lubricating oil and thus prevents contamination of the lubricating oil. The Diesel Base Plant offered by us is in high demand all across the globe and is manufactured using quality raw material procured from reliable sources. Compact simple to generate, operate and maintain high performance CO2 generator runs from low sulphur content diesel, kerosene, natural gas. The CO2 production plants are fully automatic and use a low concentration, aqueous monoethanolamine solution to efficiently and safely produce highest and purest quality of liquid carbon dioxide. Each Plant is assembled and tested to the fullest extent possible and finish painted in our factory (Assembly done) and at Clients Site (Complete trial run). Plant Construction is done very carefully by selecting proper and suitable raw material to give a good balanced between plant life, strength and careful operation and maximum value of money. These plants are compact to design and layout to make best use of space at your factory and to give you pure carbon dioxide. The fuel burned under careful control condition and under PLC Control panel. After water/soda scrubbing in DCC Tower/SO2 Removal Tower from the flue gas is absorbed in the monoethanolamine based solution in Absorber Tower and then again in to the stripper tower which is subsequently heated by the combustion process to release the raw CO2 gas. The carbon dioxide is then go towards the purification train generally known as PTK in which there is two KmNo4 Tower and other one is activated carbon filter if there and then it led to two stage vertical or horizontal compressor and then it goes to the high pressure pre-cooler and then in to the dryer. After through the dryer in an automatic dryer then goes to the liquefaction system generally screw compressor and R 404A is used as a refrigerant and after that pure and liquefied carbon dioxide can then feed to a bulk storage tank. 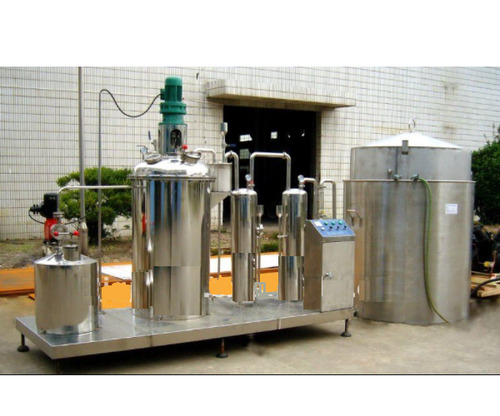 This Continuous process is efficient, reliable and safe and also meets the international food grade quality standards and can be used in soft drinks companies, breweries and many more related sectors.